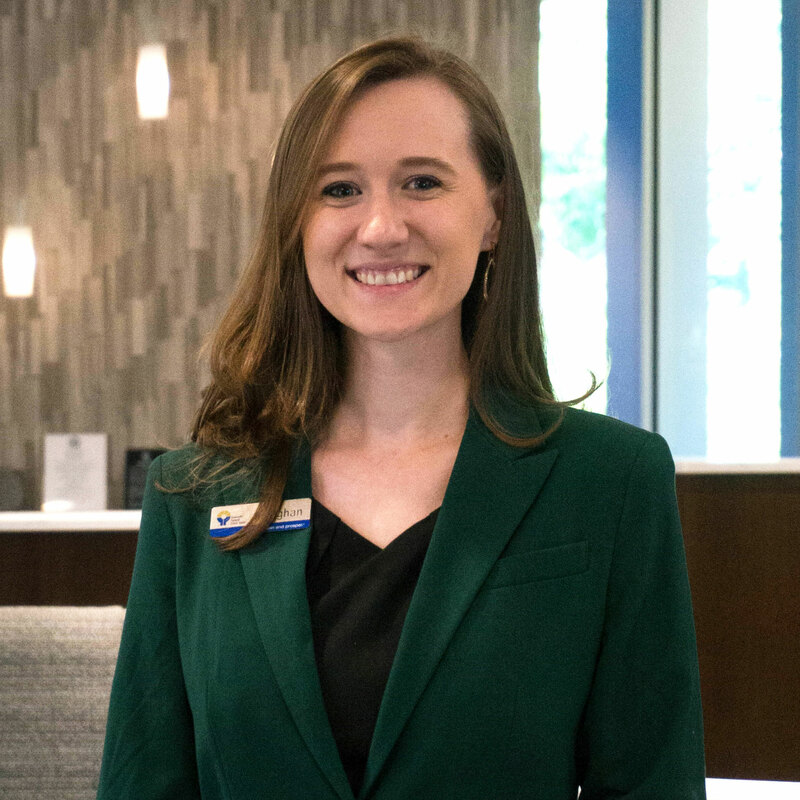 COLUMBIA, S.C. and RALEIGH, NC (2/6/19)—Meaghan King of Greenville, SC was named “CUaware Protégé” on Friday, February 1 during the Carolinas Credit Union League’s 2019 LAUNCH Conference in Charlotte, NC. King will serve for one year as dual-state spokesperson for rising professionals and the opportunities credit unions provide them. King, who works as the remote account specialist supervisor at Greenville Federal Credit Union, will have a position on the CUaware Council, with additional opportunities for outreach to be coordinated by CUaware. King achieved the honor by combination of scores on a standardized exam and on her presentation during the finals competition at LAUNCH. All five finalists’ presentations were judged by a panel that included Vizo Financial President David Brehmer, Cooperative Credit Union Association SVP of Professional Development Bill Nagle, and Carolinas Credit Union Foundation President Lauren Whaley. Watch the 2019 Protégé Finals which streamed on Facebook Live on February 1 at 8:00 a.m.
Principles & Philosophy Conference + Webinar Voucher (Sophia, NC) – Includes conference tuition, two nights lodging, meals, and a $600 webinar voucher (total value around $1,300). An added benefit offered to all the chapter finalists is the opportunity to participate in the CUaware Protégé Mentor program. This extended, off-stage mentorship program for credit union professionals in the Carolinas partners mentees with established credit union leaders for cross-cultural impact and creates an atmosphere for new perspectives, personal growth, and development opportunities. For more photos from the event, visit the CCUL photo gallery. For more on the CUaware Protégé programs, see the resource links below.